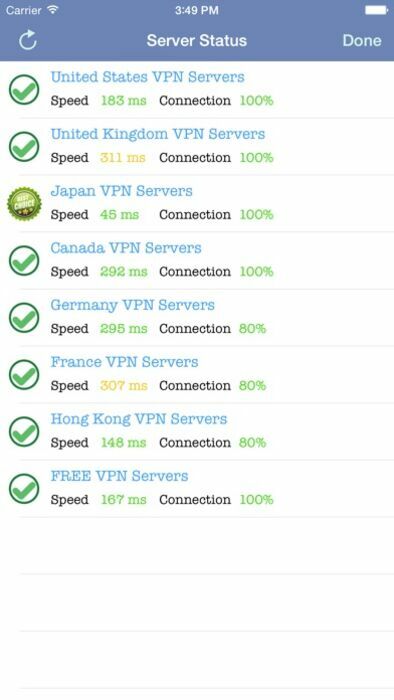 +++300MB VPN data for FREE!+++Best Online Game Accelerator+++Access VOIP & Facebook, YouTube, Hulu, Skype, Instagram, SnapChat, Netflix smoothly!+++Auto-setup all your devices (iPhone, iPad, iTouch)+++Servers in United States, United Kingdom, Canada, Japan, France, Hong Kong and Germany! 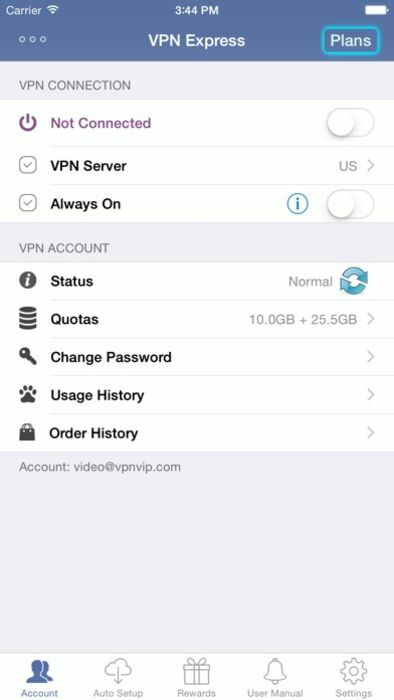 VPN is a 128-bit encrypted tunnel between your device (computer, iPhone/iTouch/iPad) and one of our servers. WHY HAVE A VPN ACCOUNT? - Accelerate online games: get extremely low latency when playing Order & Chaos, MetalStorm online and etc. - Assigns your computer a new IP address, hides your real IP to anonymize all web applications. - A secure encrypted connection between your computer and the Internet. - Secure your wireless (Wi-Fi) connection at home or at public Hotspots. WHY USE VPN EXPRESS FOR YOUR VPN SERVICES? 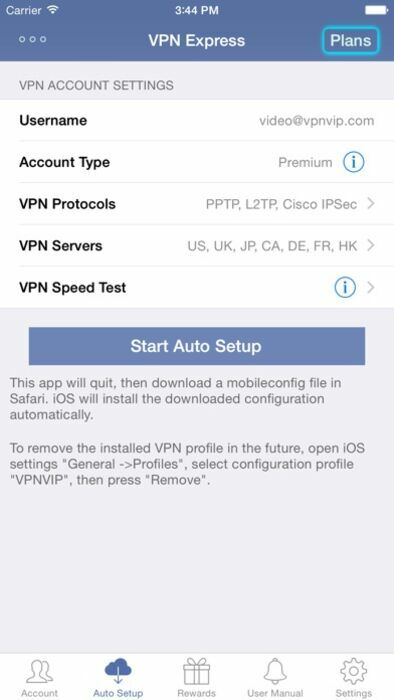 - Support All VPN Protocols available in iOS devices: IPSec, L2TP over IPSec and PPTP! - Lowest Rates with 24x7 availability! 99% service up time! Beat any other competitors in market! "Excellent App! 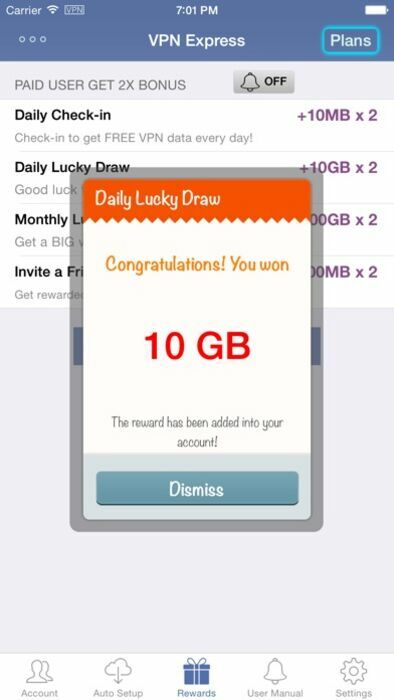 - I had tried several VPN plans before this & wasn't satisfied with the through-put consistency. VPN Express does exactly what, when, & how I need it for a very reasonable price. Best one out there!" "100% Perfect. 100% of the Time - This is the best VPN solution I have used. It's on my Mac, iPad and iPhone and can be used simultaneously! The pricing plans are awesome as well. Saves me a bundle." "Simple, efficient VPN. It just works. - Very easy to use with auto-configure setting. I use this all the time, and find it is great when traveling internationally or when I want greater wifi security in coffee shops. Recommended." 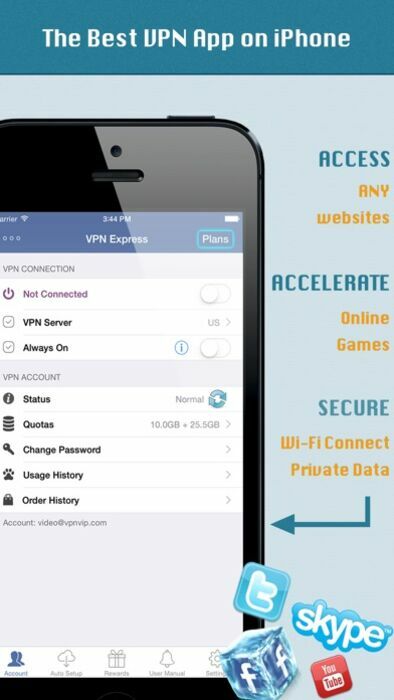 "VPN Express - This app is great. Skype was blocked at the hospital where my son was in the NICU. My family and friends could not always travel the 150 mile round trip with us to see the baby. The hospitals IT director was asked to unblock Skype several times. He would not. With this app I went around the firewall. I highly recommend this app."